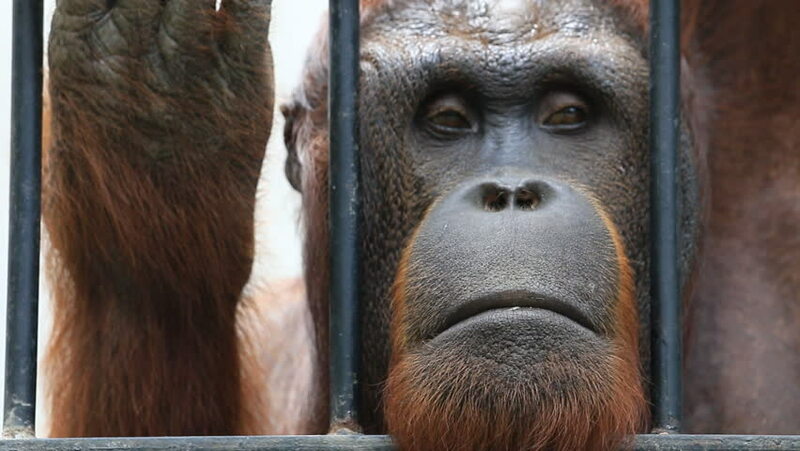 Close up Big orangutan in cage, HD Clip. 4k00:06Close-up of a donkey's eye. hd00:16SINGAPORE - CIRCA FEB 2014: Orangutan in Singapore Zoo. The zoo was built at a cost of S$9m granted by the government of Singapore and opened on 27 June 1973.